Ditch the car – Ride Instead of Drive. Posted on June 5, 2013 | Comments Off on Ditch the car – Ride Instead of Drive. Let’s face it, I’m not qualifying for the Amgen Tour of California anytime soon, but as the elite professional cyclists effortlessly rode past me on their way to Mt. Diablo, I felt proud of striving for my own bike challenge. I may not be ready for the Mount Diablo Challenge in October (billed as the East Bay’s best uphill bike ride), but I am working on my pledge to ‘Ride instead of Drive’ for trips less than 4 miles. According to sponsors of the ‘2 Mile Challenge’, 40% of all trips within the United States are 2 miles or less and 90% of those trips are completed by car. With 25% of all carbon dioxide emissions coming from cars, it behooves us to be mindful when we need to drive and when we can walk or ride our bikes instead. 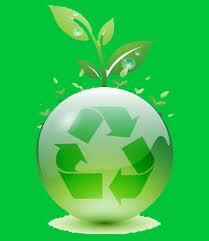 In fact, driving releases 20 pounds of carbon dioxide pollution into the air for each gallon of gas we burn. The EPA states the average car in the US gets 22MPG – obviously they don’t realize how many SUVs we’re still driving around here. Even using a conservative estimate of the number of adults in our community of 35,000, ditching the car for just one 2 mile trip per week would save us 3,309,090 pounds or 1,654 tons of local CO2 pollution per year. Talk about breathing easier. Did you know that the US has more bicycle owners per capita than other countries, but ranks near the bottom of the list for using them? In fact, the cost of operating a car per year is over $5,000 – 43% more per than a bike – and it takes the same energy and resources to make 100 bikes as it does one medium car. Even a Toyota Prius, getting 50 mpg, loaded with four adults, consumes six times the energy per person as the bicyclist, for the same trip (comparing calories of energy burned). And if these aren’t enough reasons to consider using your bike when your trip is 4 miles or less – running an errand in town, meeting a friend for coffee, going to the library, stopping by your kids’ school, etc. – then remember how much fun it was to ride your bike when you were a kid and think of the health benefits. Cycling can help reduce cholesterol and blood pressure, and just three hours of bicycling per week can reduce your risk of heart disease and stroke by 50%. A 140-pound cyclist burns 508 calories in an hour. The average person loses 13 pounds their first year of commuting to work by bike. In 1964, 50% of kids rode to school and the obesity rate was 12%. In 2004, 3% rode to school and the obesity rate was 45%. And you know which way the statistic has been going since then – right? Traffic and parking may be the two top complaints in the Danville Area. Every time you or your kids bike or walk it takes a car off the road and reduces parking congestion. This year the Town of Danville started adding bicycle parking downtown for the convenience of residents and visitors hopping off the Iron Horse Trail stopping by our restaurants and shops. 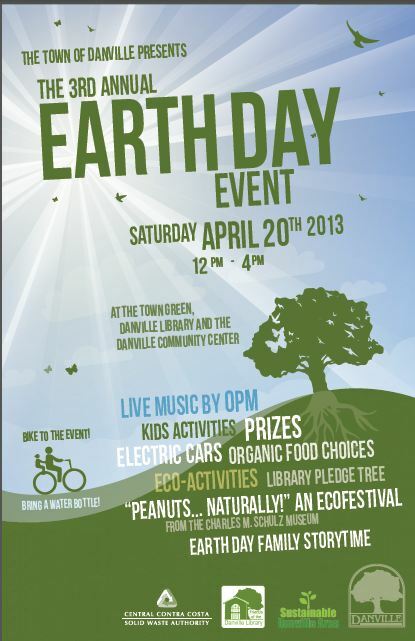 Visit our Facebook page (www.facebook.com/sustainabledanville) with the correct number of bike racks in downtown Danville and you could win a prize! To make sure there’s enough parking for downtown summer festivals and fairs, Sustainable Danville Area is partnering with other non-profits to host temporary bicycle parking at these events. Monte Vista High School Mountain Biking Club will host the bicycle parking for the upcoming 2013 Danville Fine Arts Faire on June 22nd and June 23rd from 10am – 5pm. Bike on over to the parking lot shared by Starbucks, Consignit Couture and Pegasus Bikes on Hartz and Prospect Avenue on Saturday or Sunday for a VIP parking spot to the faire. 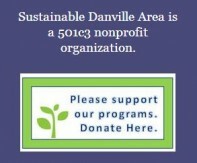 If your non-profit group would like to host a bike corral for the 2013 Town of Danville July 4th parade, please contact us at sustainabledanville@gmail.com or visit us at http://www.sustainabledanville.com. In Copenhagen, Denmark, two thirds of residents use a bicycle on a daily basis! There is no limit to the level of biking that’s possible in ideal terrain and temperate weather of the Danville Area! Imagine how much impact that would have on our health, the environment, and traffic! Comments Off on Ditch the car – Ride Instead of Drive.